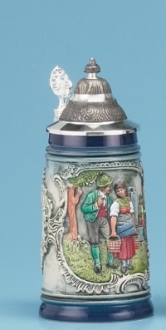 This unique stein features Deutschland Eagle crest on the front. It also features scenes from Cologne, Heidelberg, Frankfurt, Munich, Berlin, and Rothenburg. 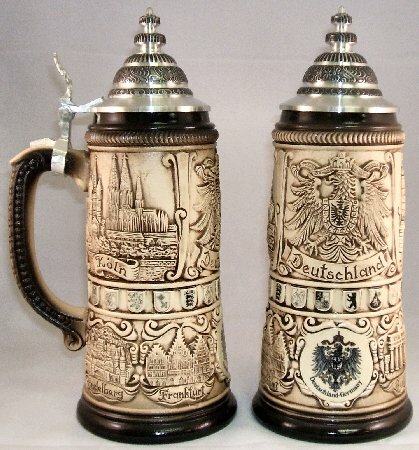 This .75 liter stein is about 11 inches tall.